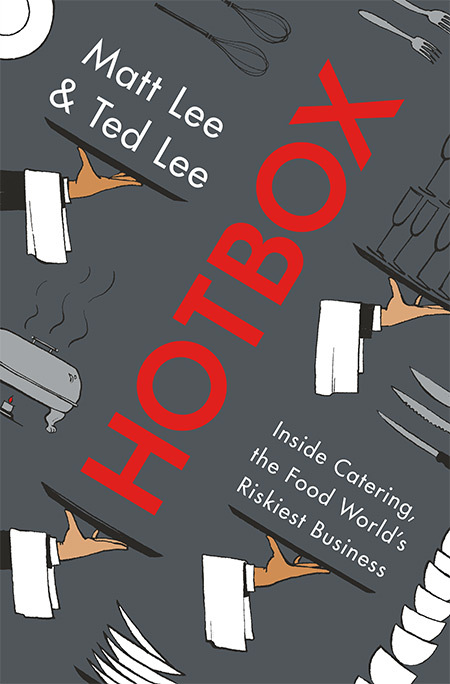 Media – Page 3 – The Lee Bros.
Publishing a cookbook is hard from every angle–difficult to conceptualize, tough to break into agents’ and editors’ offices, and near-impossible to sit down and write the manuscript (though crafting a proposal can often be the easiest step you take). 1. I’ll test the recipes in the restaurant kitchen, after or before service. 2. I’ll write it…as soon as I can get a day off. 3. My buddy’s gonna do the photos/ my friend is going to design the book. 4. My publisher’s gonna launch this book to the stratosphere, like they did with [CELEBRITY CHEF’s] book. 5. Dude! Publishing my cookbook is gonna make me rich. Ok, so first of all, a cookbook for a popular audience has to be tested in a home kitchen if you want to achieve the level of recipe quality that wins cookbook awards, garners infectious word-of-mouth and sells books to all corners of the English-speaking world. Recipes developed and tested in restaurant kitchens betray the easy provisioning and dishwashing, the hot-hot heat and the giant plastic wrap that home cooks–95% of the people who purchase cookbooks–simply DO NOT HAVE. 3. Do not box yourself in or limit your aspirations by committing to any particular friend-agent, -editor, -designer or -photographer until your proposal has been crafted and shopped around. Free birds get the biggest advances. Most publishers will run in the other direction if they aren’t able to have a direct hand in formulating the look of the book, including choosing a photographer. 4. Publishers are choosy people playing a game of horse-betting, and unless they think you are the next Mario Batali and overspent on your advance, they are unlikely to give you more than an off-the-shelf marketing effort. YOU ARE YOUR OWN BEST MARKETER AND PUBLICIST! 5. Cookbooks can be an essential product in the portfolio of a chef with national stature, complementing the dining experiences you sell, and your personal appearances, while solidifying your influence and credentials in the food world. And they can certainly add to the bottom line, but unless you have a TV show you are unlikely to strike crazy money in cookbooks. You will achieve untold satisfaction however from seeing your food achieve immortality. A well-made cookbook incomparably brings together the look and feel, the tastes, but also the stories and people behind your food vision. Cookbook Boot Camp Opens Enrollment! Two sessions of our acclaimed Cookbook Boot Camp for professional chefs, pastry and beverage professionals will be held in Charleston this January. Make a New Year’s resolution to fulfill your dreams of publishing your own cookbook! More information and registration at CookbookBootCamp.com. Season Finale of “Southern Uncovered” TONIGHT 8PM EST!!! We finish strong, with New Orleans, for the season finale of “Southern Uncovered with The Lee Bros.” You can pre-game the show with a Sazerac cocktail and these web-extra episodes on a real-deal crawfish boil and fresh-from-the-oven pita bread! Enjoy by clicking here. for the fun article about “Southern Uncovered.” We had a blast sitting down with Alex Beggs for an interview with numerous probing questions about the State of Southern Food. Lord knows we don’t have all the answers, but it’s a conversation we’re thrilled to be even a small part of. To read the article, click here! Tonight’s episode of Southern Uncovered on Ovation is all about Dallas (8PM ET/5PM PT), and you can get in a “Big D” frame-of-mind by watching web-xtras on two Dallas originals – Mesero’s “Mambo Taxi” cocktail & The Mozzarella Company’s hoja santa-wrapped goat cheese!! Head to our show page on Ovation’s website by clicking here. Prepare for your trip to Asheville, NC tonight with Southern Uncovered on Ovation TV (8PM ET/5PM PT) by watching our web-extras with potter Josh Copus and chefs William Dissen and Katie Button. It’s a challenge to fit all the talent and passion of our Southern Uncovered subjects into a half-hour show, so we create web-episodes of fun material! Watch them here! Watch our new TV show on Ovation! Put June 19th and 20th in your calendars, cuz we’ve teamed up with our brother-from-another-mother Ed Lee to perform THE BOILED PEANUT HOUR: A Live-Cooking Show About Southern Identities. The Maker’s Mark will be flowin (and not just among the performers!) and the Actors Theatre of Louisville will be jumpin, with trash-talking, storytelling, and just plain awesome eating. An amazing after-party with food by Ed Lee’s MilkWood and book-signing by the players! Hope to See You There! Click here for ticketing info. OUR NEW TV SHOW DEBUTS JUNE 14!! We are thrilled to announce the debut of our first TV show on Sunday, June 14 at 8pm on Ovation (Comcast 255 in Charleston; visit http://www.ovationtv.com/zipcode to locate Ovation in your area). “Southern Uncovered with The Lee Bros” will take viewers deep into the cultural life of the American South, with a culinary focus. We’ll introduce you to the places, the people–and the foods and beverages–that make today’s Southern cities the most exciting destinations in the world. Ovation, the country’s only arts network, is broadcast into over 54 million homes nationwide. Episode 1 is about Charleston, our hometown, and subsequent episodes take place in Atlanta, Louisville, Dallas, New Orleans and Asheville. New episodes will debut on successive Sundays throughout the summer. For updates (and sneak peeks from our adventures), follow us on Twitter, Facebook and Instagram @theleebros. We’ve always wanted bring our particular style of immersive, wonky culinary travel (which we’ve practiced for the last decade primarily for Travel + Leisure magazine) to TV, but have been holding out for the right fit. The reality show ideas (eg “Sibling Rivalry! !”) didn’t appeal, and straight-up food and recipe shows have an especially hard time breaking through on the food channels–fancy that! Most production companies wanted us to look and act more like hillbillies, to fit their misconceptions about the South. What worked this time around was finding a channel focused on arts first, rather than travel or food. Also essential was hooking up with a super-talented SOUTHERN production company, Trailblazer, in Raleigh, who understand us, and understand contemporary life in the South. We hope you’ll enjoy our show, which is about the flavor, fun and diversity of Southern life today! We’re Performing in Louisville with Ed Lee! Ed Lee, Matt Lee and Ted Lee will present and perform “The Boiled Peanut Hour: A Live Cooking Show about Southern Identities” At Actors Theatre of Louisville this June. At 6:30PM on Friday, June 19, 2015, and Saturday, June 20, 2015, Louisville Chef Edward Lee, of the restaurants 610 Magnolia and MilkWood, will team up with writers Matt Lee and Ted Lee, authors of three award-winning cookbooks about the South, to present a live cooking show in the Bingham Theatre—an intimate, 318-seat theatre-in-the-round inside Actors Theatre of Louisville. “The Boiled Peanut Hour” is an hour-plus-long cooking, storytelling, and trash-talking show that sees the three Lees cooking favorite dishes from the southern canon that illuminate strongly-held beliefs about what it means to be a southerner. Bourbon tastings are included during the show, and afterward, a reception featuring a selection of the recipes from the show, prepared by MilkWood, will take place in the Sara Shallenberger Brown Lobby of the Theatre. The reception will offer an opportunity to meet the players and purchase autographed cookbooks. Tickets are $45 and include the show, food and wine reception, and book-signing. Advance tickets at $40 are on sale until April 30. A limited number of VIP tickets are available, which include an after-show dinner and cocktails with the Lees. For all tickets, call Actors Theatre of Louisville, 502.584.1205, visit ActorsTheatre.org, or visit Actors Theatre’s box office in person at 316 West Main Street, Louisville, KY 40202.